What an amazing place. Should you ever visit Basel, do NOT miss this gem. 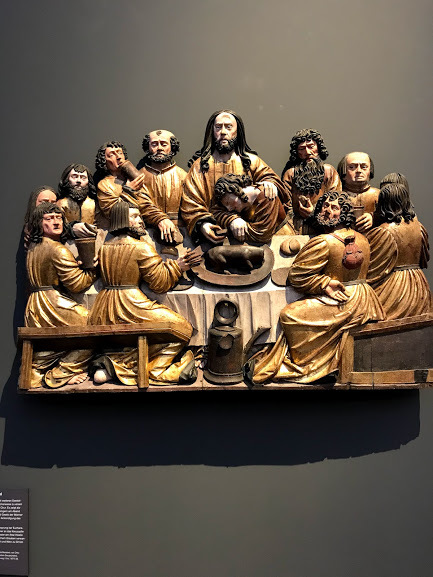 Why is there a beheaded animal on this wood carving from the Middle Ages of the Last Supper? More in a gallery when I get back to Zurich and am at my computer.